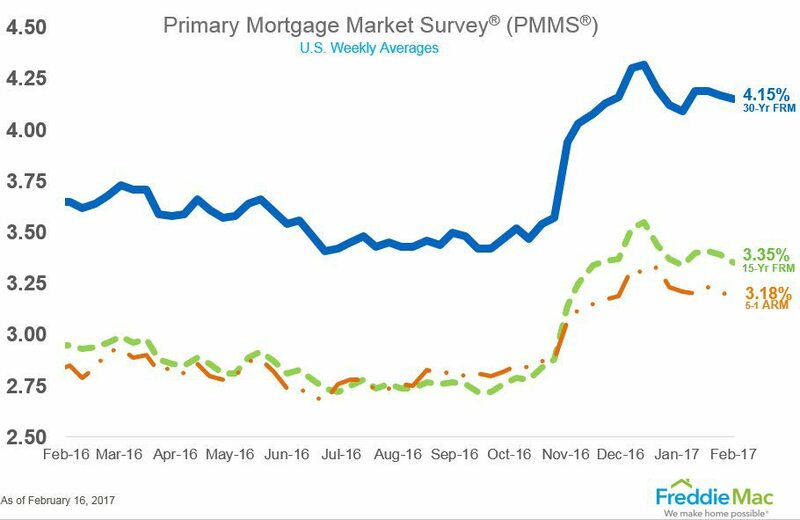 30-year fixed-rate mortgages (FRM) averaged 4.15 percent with an average 0.5 point for the week ending Feb. 16, 2017. This is down from last week when it averaged 4.17 percent. Closing time for all loans increased slightly in January to 51 days. 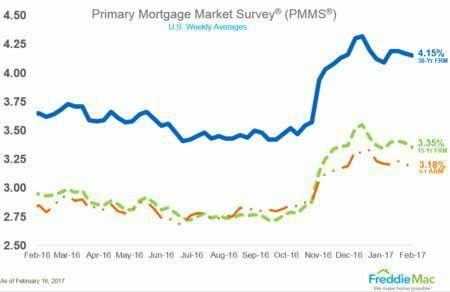 The average 30-year rate for all loans increased to 4.31 in January, up from 4.05 in December. 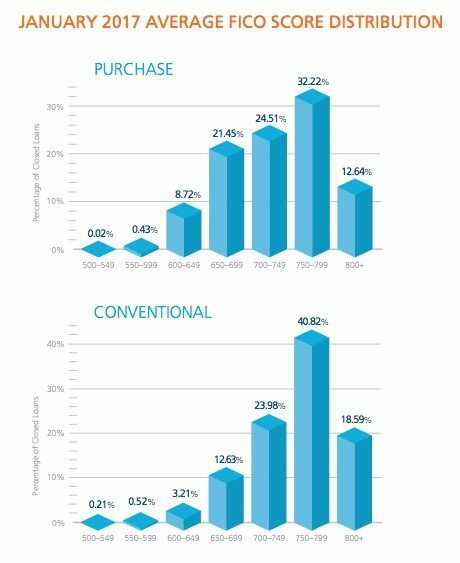 69 percent of all closed loans had FICO scores over 700. 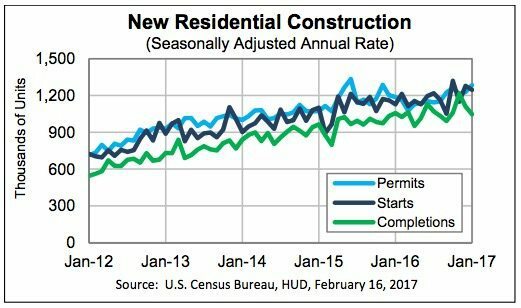 Privately-owned housing units authorized by building permits in January were at a seasonally adjusted annual rate of 1,285,000, 4.6 percent above the revised December rate of 1,228,000 and 8.2 percent above the January 2016 rate of 1,188,000. Privately-owned housing starts in January were at a seasonally adjusted annual rate of 1,246,000, 2.6 percent below the revised December estimate of 1,279,000, but 10.5 percent above the January 2016 rate of 1,128,000. Privately-owned housing completions in January were at a seasonally adjusted annual rate of 1,047,000, 5.6 percent below the revised December estimate of 1,109,000 and 0.9 percent below the January 2016 rate of 1,056,000.